Some charitable acts are driven by love. A beautiful person made a request to help a friend for a good cause with no other stipulation than that she liked the Happily-Ever-After-Hearts that I had recently completed for a wedding. 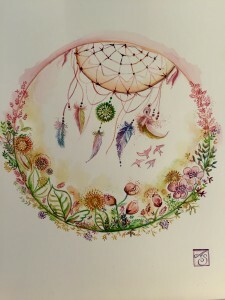 On further enquiry, we established the dream catcher was a favourite part. 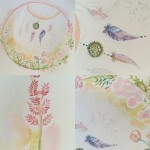 I set to work on some initial sketches using the medium of watercolour just as I had with the heart design. 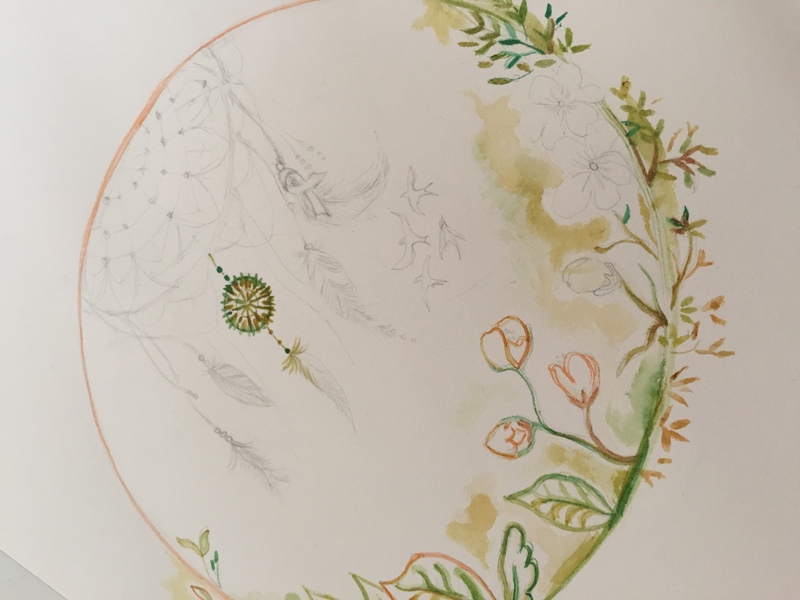 The design soon began to take shape drawing on colours from the rainbow. 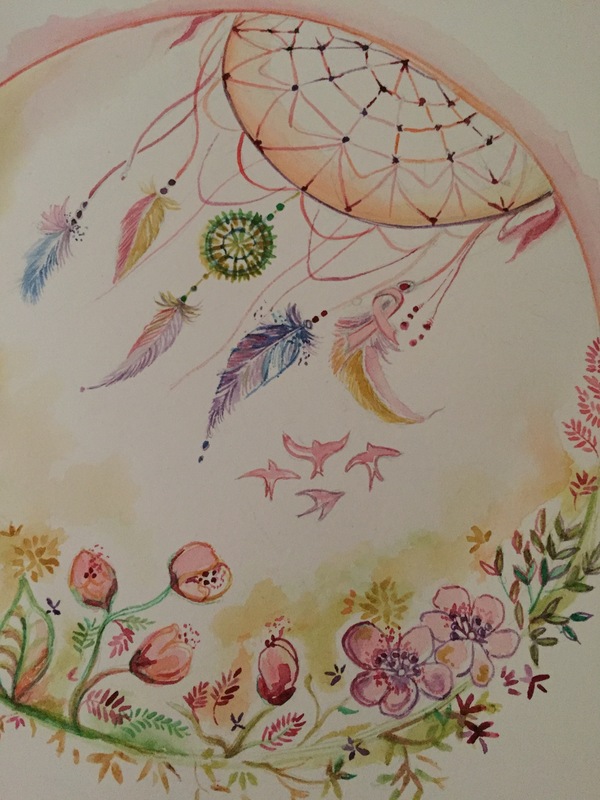 Feathers in the dream catcher along with four tiny birds added a sense of freedom and movement. 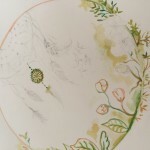 The flowers and leaves that decorated the circular design also evoked a delicate tone to the artwork. 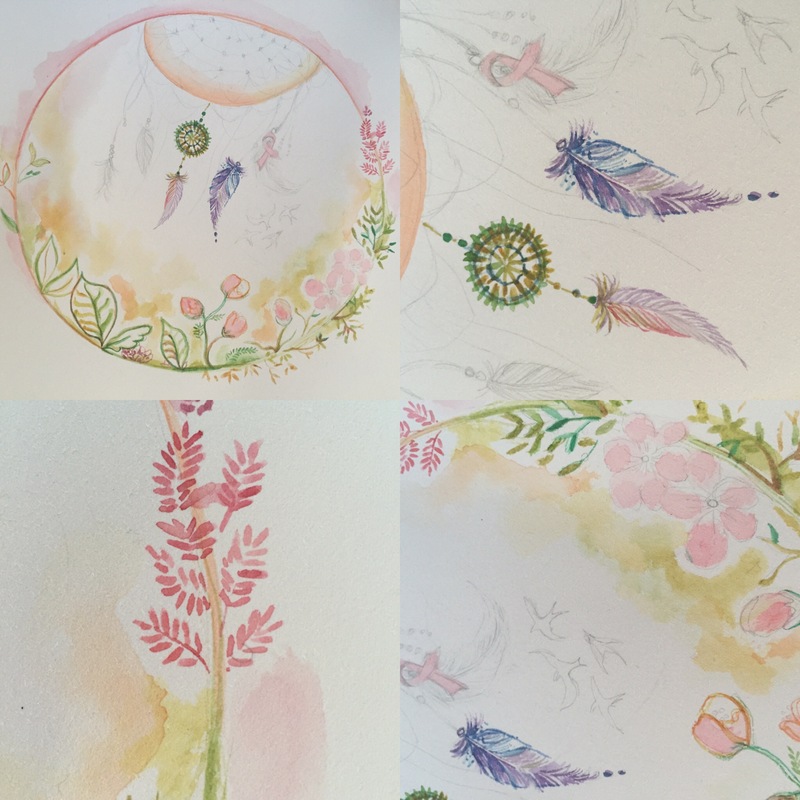 The playful nature of this design made it a joy to paint from beginning to end. 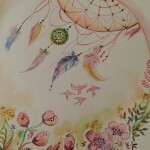 Once completed it was lighted sealed and wrapped in love ready to be sent to its new home.